Call today for information on LASIK eye surgery! Great Lakes Eye Institute and Surgery Center has been serving the Great Lakes Bay region with quality eye care for over three decades. We use the latest state of the art techniques and equipment, with six eye doctor offices in the area to conveniently serve Midland MI, and all the surrounding areas. The Great Lakes Eye Institute Eye Clinic & Surgery Center suggests that it is time to see an eye doctor when; street signs are getting fuzzier and harder to read; or you find yourself squinting at the newspaper. When choosing an eye doctor it is important to remember how vital the health of your eyes are and how important of a health decision it is. At Great Lakes Eye Institute Eye Clinic & Surgery Center we want you to remember that you will be relying on your eye doctor to protect your sense of sight and help you maintain a lifetime of good vision. Make the right choice and choose Great Lakes Eye Institute Eye Clinic & Surgery Center. Rely on us today when you need an eye doctor in the Midland, MI area! Each eye doctor office provides full services to patients of all ages. We have extensive pediatric ophthalmology expertise that can be essential for early diagnosis and treatment. Our trained staff can provide early ophthalmological correction that can be very useful during formative years. Don't hesitate to give us a call if you believe you need to see an eye doctor. Our eye doctors are happy to assist you and help give you the opportunity to improve your vision. Call us today if you are in the Midland, MI area. Our eye doctors strive to give you the best vision we can! We offer complete cataract treatment! We also provide state-of-the-art clinical and surgical operations for cataract treatment, cornea, glaucoma, pediatrics, macular degeneration, retina, uveitis, oculoplastics and aesthetic conditions. Cataract treatment will help you overcome the difficulties that are caused by cataracts. Great Lakes Eye Institute maintains a large selection of designer frames for our patients. Including Prada, Dior, Ray-Ban, Gucci and many, many more. Our eye glasses technicians will properly measure and fit each pair of glasses for the best results. Special sports glasses and sunglasses are available for those with particular needs. We provide Lasik eye surgery! LASIK eye surgery has become one of the most desired treatments for corrective eye care. Great Lakes Eye Institute physicians preform numerous LASIK procedures each month. We have FREE instructional seminars and videos available for those wishing to know more about this advanced procedure. You can call and schedule a class anytime, or check our website for times that fit your schedule. 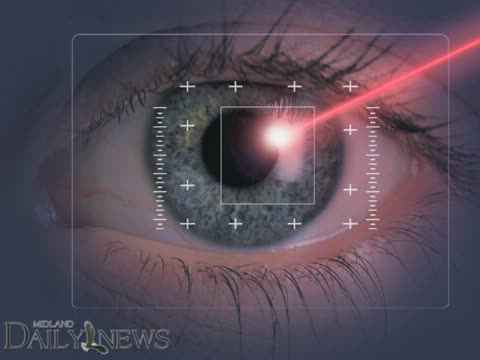 LASIK eye surgery is a safe procedure performed by physicians. LASIK is a very effective surgery that will help you see better. Advances in medicine have allowed us to better understand the way our eye works. The new information has allowed us to further develop procedures and treatments in optometry. We service our senior community proudly, with attention to elderly eye needs. As one ages the need for proper care to prolong the gift of sight is more important. Let Great Lakes Eye Institute provide the ongoing visual care and support you require as your sight changes with age. Macular degeneration, cataracts, uveitis, or other loss of vision issues are our deepest concerns for the elderly. Let our compassionate staff help you see better. Great Lakes Eye Institute is open five days a week to serve you. Please contact us for all your optical requirements.